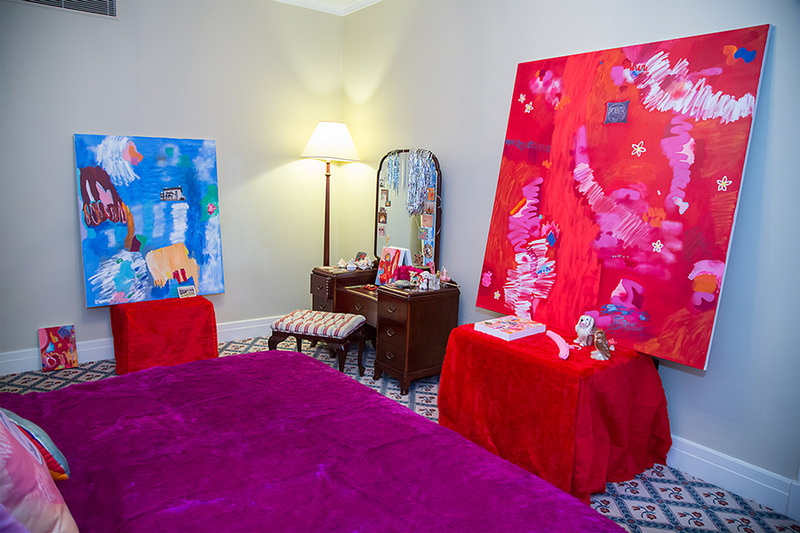 Daine Singer presents Almost Forever by Minna Gilligan at the inaugural Spring 1883 art fair at the Hotel Windsor. The gallery will also participate in the Melbourne Art Fair to be held concurrently at the Exhibition Buildings. 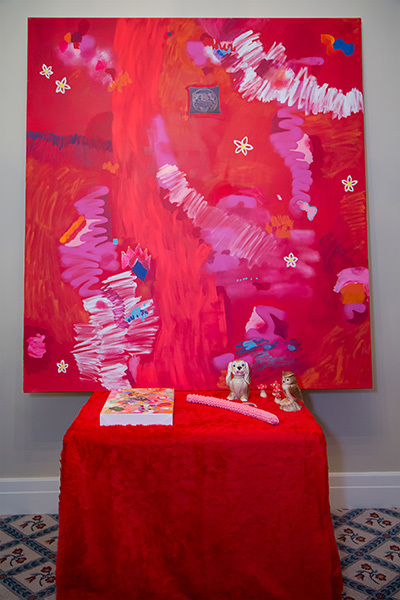 Almost Forever is conceived as a melancholic yet playful site-specific installation, featuring new paintings, fabric prints and soft sculpture by Minna Gilligan. 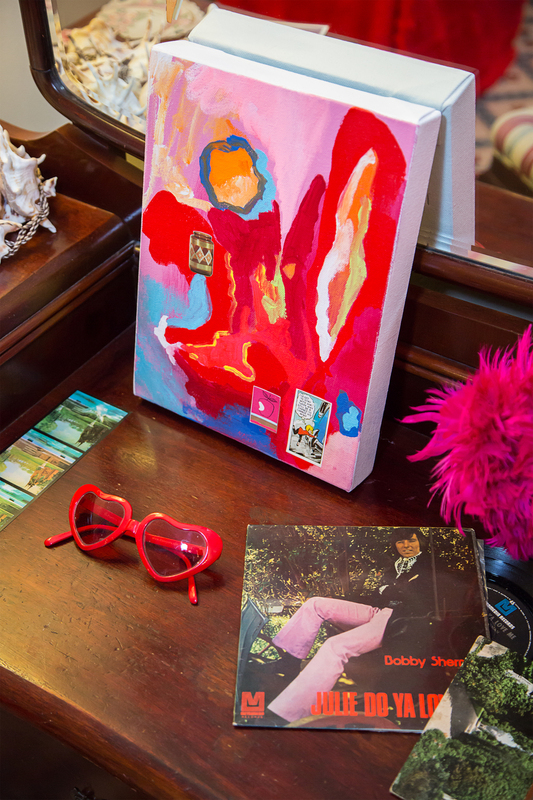 Continuing her interest in nostalgic fantasy and pieced together notions of the ’60s and ’70s, Gilligan will envelop the bedroom of the hotel suite with the products of her wildest dreams. 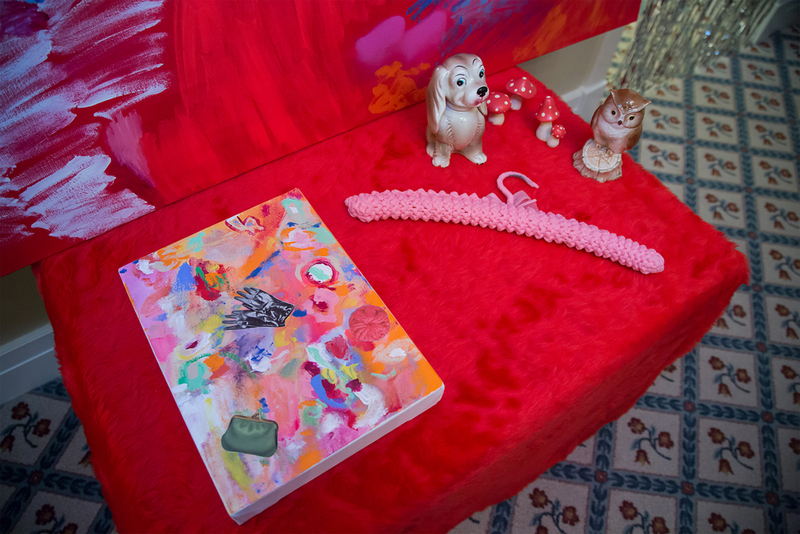 Filled with paintings and objects suggesting an absent inhabitant, the space will feel heavy with the traces of an anonymous person consumed by longing and lust.